More cancer research. More survivors. No stigma. I want to see cures for ALL cancers. In most cases, we can’t know for certain what caused an individual’s cancer, meaning we can’t determine exactly what caused their normal cells to mutate and become cancerous. Since we don’t know all the causes, we can’t PREVENT all cancers. All we can do is reduce our risk. Because we all need to eat and breathe, and our world contains toxins known and unknown, we’ve all likely done something that increases our risk of getting cancer. Smoking is a risk factor for 14 types of cancer, and affects every organ in the body. I support anti-tobacco campaigns to educate and hopefully prevent more people (especially young people) from consuming any tobacco product. I support compassionate smoking cessation efforts to help people find motivation to quit if they did start. I hope people who did use tobacco (and those who love them) can forgive and move on to healthier lifestyles. But I also recognize that tobacco is more addictive than heroin or cocaine. According to the American Cancer Society, the best way to quit for most people is some combination of medicine, a method to change personal habits, and emotional support. Unfortunately, many smokers who have the desire and motivation to quit lack the tools and support necessary to quit. Humans are not perfect. Up to 90% of smokers began before age 18–when we all make risky choices for the wrong reasons–and became addicted. But we’ve all made decisions that could put our health at risk. I’ve made my share: pulling all-nighters to study for finals, consuming cola drinks and chocolate for energy during long hours on a tough aerospace proposal, accepting a high-stress job. I knew these weren’t the healthiest choices, but I did them anyway. Does that mean I deserve a terminal illness? If a world-class athlete was fatally injured while competing in the Olympics, would we shrug in acceptance because they chose a high-risk sport and thus were asking for death? Metastatic cancer has killed so many of my friends. I saw their pain, and the anguish of their loved ones, and I find I don’t care what might have caused their cancer. I don’t want to lose any more people to this beast. I want the allocation of research funding to reflect the science that has the best of chance of making a difference for cancers that kill people: metastatic cancers. I want everyone to receive effective treatment for ANY cancer they may have, regardless of why they have the disease, or where they live, or how old they are, or what insurance they have. Would you want someone to decide whether you deserve healthcare based on YOUR past actions or choices? End stigma. All cancer patients deserve compassion. In February of 2014, I wrote a blog post titled “Dear lung cancer patient who smoked.” Today that post received a comment from my friend and fellow lung cancer patient advocate K ‘Karen’ Latzka. Her insight deserves a blog post of its own. Reposted with author’s permission. 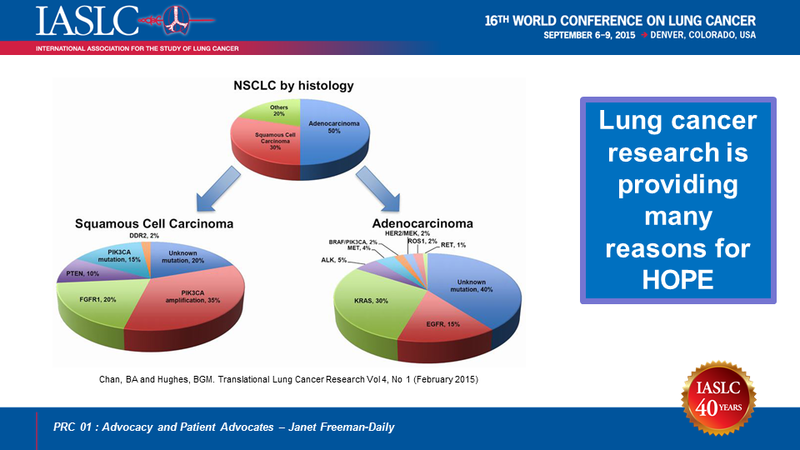 Earlier today (September 6, 2015) I gave this speech at the International Association for the Study of Lung Cancer (IASLC) World Conference on Lung Cancer in Denver. I’m pleased at the reception it received. I appreciate IASLC including me in this press conference. They’ve been responsive to lung cancer patients and advocates, and have included the patient voice in several conferences. 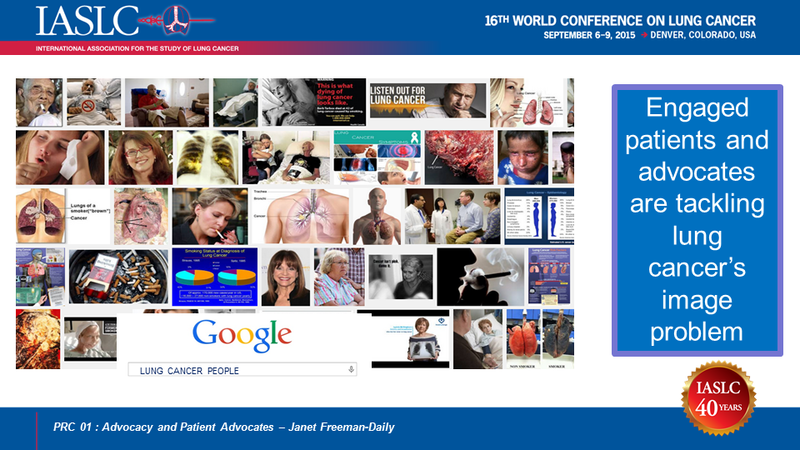 Patients and advocates participated in the planning process for this World Conference on Lung Cancer, as demonstrated by the number of patient and advocate presentation on the program. 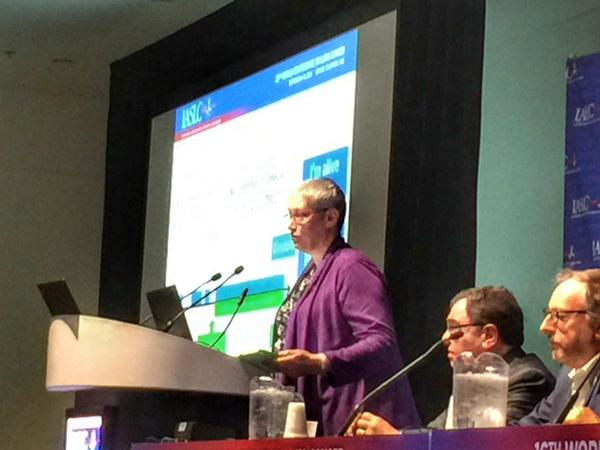 This is a first among major oncology conferences, and a step forward for engaged patients. 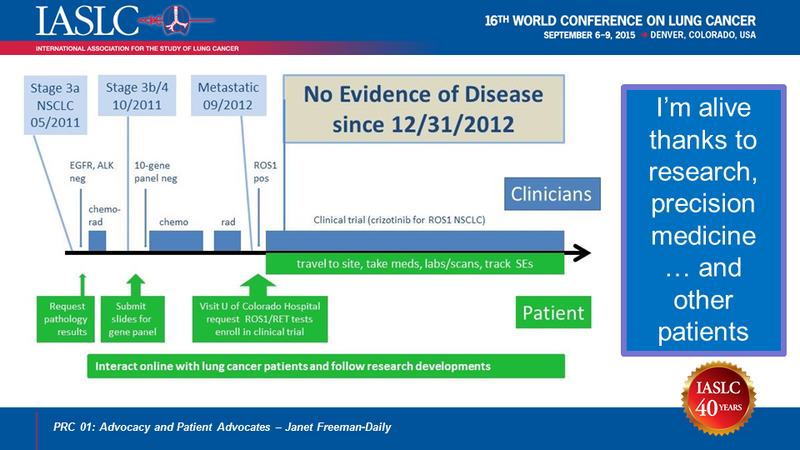 As the slide says, I’m alive thanks to research, precision medicine, and other patients. My lung cancer journey is a good example of the importance of research, hope, and engaged patients and advocates. In early 2011, I had a nagging cough [hack hack]. To make my husband happy, I went to see my doctor. After two rounds of antibiotics, and weeks of diagnostic procedures, I was diagnosed with advanced lung cancer with a 3-inch tumor in my left lung. I never smoked anything – except a salmon. My primary tumor and lymph nodes all responded to chemo and radiation, but two months later, I had a new cancerous hot spot by my collarbone. That became a 3-inch mass in three months. I had more chemo, followed by more radiation. A new scan showed all the known tumors were gone or dead. BUT … I had two new tumors in my other lung. I now had metastatic lung cancer. Whenever I stopped treatment, I had a new tumor within two months. My oncologist told me I would be on chemo for the rest of my life. Fortunately, just after I began treatment, a friend and fellow cancer patient recommended I join an online support group for lung cancer patients. From other patients, I learned about molecular testing, targeted therapy, and clinical trials. I arranged to have my tissue tested, and based on the results, traveled from Seattle to Denver to enroll in a clinical trial. Thanks to this trial, I’ve outlived my original prognosis by years. 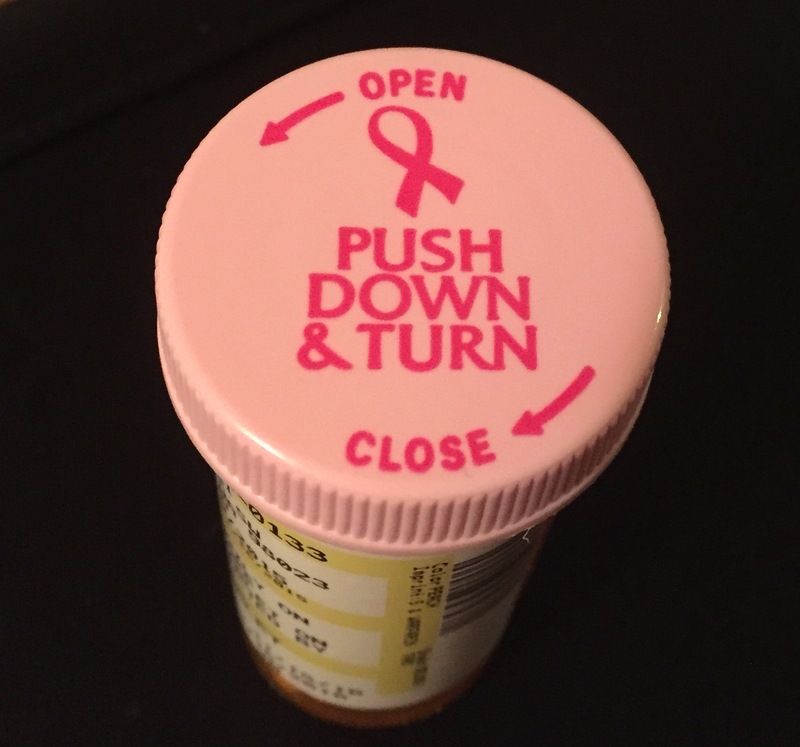 I recently celebrated my four-year cancerversary, and have had No Evidence of Disease for 32 months and counting. I am not cured, but I am living well with lung cancer. I am an epatient. Epatients are not just people who search for health information online. 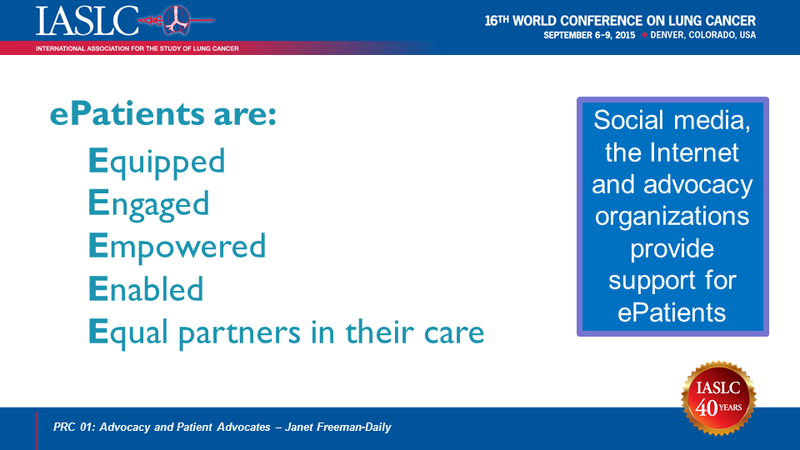 The term epatient applies to any patient who is equipped, engaged, empowered, or enabled. These patients can become equal partners in their own care, working together with healthcare providers to improve their outcomes. In the online lung cancer community of over 20,000 people, I found patients with my type of lung cancer, on the same treatment, who understood exactly what I was feeling and experiencing. They answered questions I didn’t think to ask at doctors appointments while I was still in shock over my diagnosis. They suggested ways to cope with side effects at home. They prodded me to ask my doctor about issues I hadn’t thought were important. They were available in the wee hours when the fear was overwhelming. They shared online information resources from reliable authorities like the National Cancer Institute. The information I learned online enabled me to become an interactive participant in my care. From other epatients, I learned to ask for my data, including radiology and pathology reports. I learned about treatment options and typical side effects. I learned about new molecular and genomic tissue testing that doctors in my home clinic did not know about. I learned how to find and participate in clinical trials. And I found hope. If I had not had access to other epatients, I would likely be dead now. Preliminary studies indicate patient engagement and shared decision making can increase patient satisfaction and outcomes and reduce healthcare costs. Activated patients are less likely to be readmitted within 30 days of hospital discharge, less likely to have poor care coordination across healthcare providers, and less likely to lose confidence in their health care system. Thanks to research and new treatments, more lung cancer patients are surviving longer and learning to live with lung cancer as a chronic illness. As you’ve heard, this disease still kills more people every year than the other top three cancers combined. Yet lung cancer receives fewer federal research dollars per death than any of those cancers. Why is that? Are lung cancer patients not worth saving? The answer becomes clear when you google the words “lung cancer people.” No throngs of ribboned supporters; few smiling survivors. You see damaged lungs, death … and cigarettes. Lung cancer has an image problem. The first question I hear when I mention my disease is: “Did you smoke?” People blame patients for getting lung cancer. The breast cancer community has changed how the world sees their disease. The lung cancer community must do the same. Two thirds of lung cancer patients – TWO THIRDS — either never smoked, like me, or quit smoking years ago. Now that more lung cancer patients are benefitting from new treatments, we can speak out to raise awareness of other risk factors such as radon gas, air pollution, and workplace exposure; fight the stigma of lung cancer, and increase research funding so more of us can live. We are telling our stories and experiences through blogs, social media, and support communities. We are sharing our treatment data in online databases, and collaborating with clinicians and researchers via Lung Cancer Social Media (#LCSM) on Twitter. The new treatments and screening opportunities arising from research give patients like me many reasons for hope. Early last year, there were no additional clinical trials for people with my type of lung cancer. Now there are at least four other trials. In fact, there are now over 17 actionable mutations for lung cancer. Patients whose tumors have these genomic mutations have options for either approved treatments or clinical trials. In fact, more new treatments have been approved for lung cancer in the past four years than in the previous four decades. Innovation in cancer care can help more patients get the best possible treatment with easy-to-access medical records for second opinions; accurate early detection methods; affordable genomic testing; simpler searches for clinical trials; new trial designs for small and remote populations; big data analysis of outliers; and more effective ways to share information and hope among all lung cancer patients as well as the public–including those who are not on the Internet. Engaged patients and advocates are working with clinicians and researchers to accelerate research and improve patient outcomes. Last year advocates were instrumental in obtaining Medicare coverage for lung cancer screening, and a group of lung cancer survivors helped change National Comprehensive Cancer Network guidelines for treatment of metastatic lung cancer. Patients and advocates are supporting the “Don’t Guess. Test.” campaign to encourage more patients to get genomic testing. At this conference, patients and advocates will be discussing their involvement in the NCI’s Lung-MAP precision medicine trial, establishment of support groups, a clinical trial to study lung cancer in young adults, and information that helps patients make choices for treatment and survivorship. In just the past two weeks, a research study began at the University of Colorado lung cancer SPORE to work with family members of patients who died of lung cancer to collect archived tumor tissue from community hospitals and provide it to lung cancer researchers so they can continue to provide hope for this disease. I initiated this project as the SPORE’s patient advocate with support of the Addario Patient and Caregiver Advisory Board. Thank you for your interest in reporting on lung cancer research. Together we can raise awareness, spread hope, fight the stigma of lung cancer, and improve outcomes for all patients. This is a reblog of a 5/18/2015 post on the #LCSM Chat site (reposted with permission). Lung cancer patient advocates are beginning to make their voices heard and gain acceptance in the medical world. For the first time ever, patient advocates will be speaking from the stage at the World Conference on Lung Cancer (WCLC), the largest meeting dedicated to lung cancer anywhere. 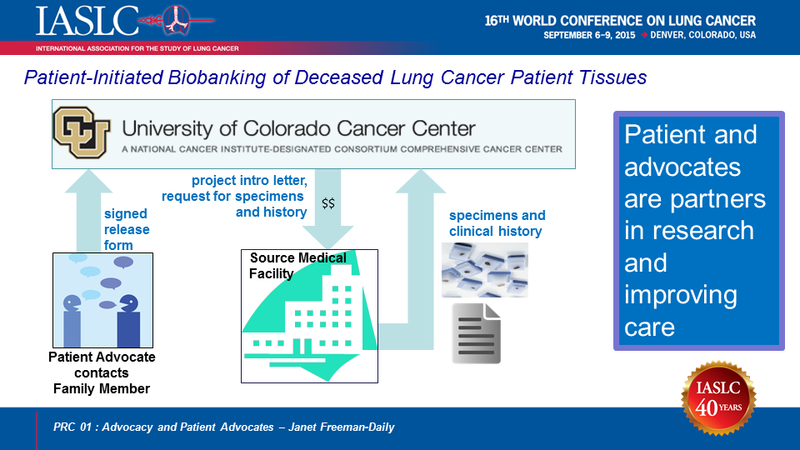 The meeting, which runs September 6-9 in Denver and is sponsored by the International Association for the Study of Lung Cancer (IASLC), will have sessions on research, treatment, biotech developments…and patient advocacy topics. Although I’m saddened by his death, I’m glad Joe Cocker’s obituary stated lung cancer as the cause of death. Only when prominent people are brave enough to admit they have lung cancer (despite the stigma) will the public realize the prevalence of the biggest cancer killer. All you need to get lung cancer are lungs. This is a reblog of my post that appeared in the on the Stanford Scope Blog on November 17, 2014. When I first learned I would be giving an ePatient Ignite! talk at Stanford’s Medicine X, I knew I wanted to speak about the stigma of lung cancer. I had frequently heard the first question typically asked of lung cancer patients – “Did you smoke?” – and I wanted to help change public perception of my disease. I had plenty of material and preparation. I had actively blogged about my metastatic lung cancer journey for more than a year. I had researched statistics and funding disparities. I had gleaned patient perspectives via participation in online support forums and Lung Cancer Social Media (#LCSM) tweetchats. I also had years of public speaking experience, so I wasn’t anxious about getting up in front of an auditorium full of people. What I didn’t have was knowledge of those who typically attended Medicine X, or how best to connect with them. I had never spoken publicly about lung-cancer stigma, certainly not to an auditorium full of people unfamiliar with my disease. After MedX ePatient adviser Hugo Campos helped brainstorm ideas, I wrote a speech – but it lacked something. 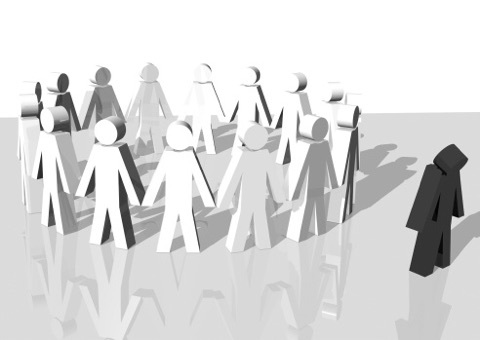 To figure out what was missing, I reach out to the online lung cancer community – patients, advocates and health-care providers I knew from support groups, Facebook, and Twitter. When Chris Draft of Team Draft reviewed my speech and slides over breakfast at Denny’s during one of his trips to Seattle, he smiled tolerantly when he saw my engineer’s fascination with graphs and pie charts. 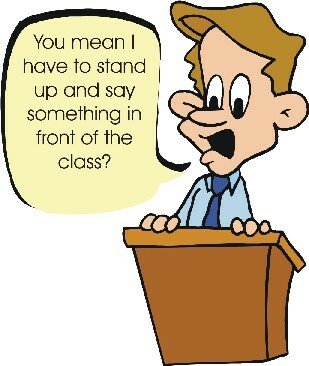 Then he made a point that changed the focus of my entire presentation. Despite the dire statistics, the public will only care about the number one cancer killer when they can see that these patients could be people they love – a parent, sibling, child, friend – or even themselves. My speech needed to show the real faces of lung cancer, he explained. So I rewrote the entire presentation and looked for graphics that could help people connect with the patients as well as the facts. I ditched the numbers-based charts for concept-based images. Online patients provided pictures of themselves living life and doing things they enjoyed. A dozen friends from across the online lung-cancer community reviewed the pitch via email or in person. It truly became a collaborative effort. When I stepped out on the MedX stage that September day, I brought the hopes of many in the lung-cancer community with me. Chemobrain gave me a moment of terror (I lost my place while the slides continued to change every 15 seconds) but judging from the standing ovation the ePatients gave me, I made our point. My Twitter handle was in the top ten mentioned in the #medx stream that day. Tweets from health-care providers watching the speech online and in the audience said it changed their view of lung cancer. Lung cancer patients -smokers, non-smokers, and never smokers alike – said it expressed everything they wanted others to know about our disease. And as of today, the YouTube video (above) has been viewed more than 1,100 times. But perhaps the most gratifying reaction was when someone friended me on Facebook just to say my speech helped her forgive her father, a life-long smoker who recently died of lung cancer. This speech represents the best of what an online community can accomplish when they collaborate. The only thing I’d change next time is to avoid delivering it in San Francisco the day before my clinical trial visit in Denver: Evidently butterflies are aggravated by PET scans.